Jean Asselborn will travel to northern Ethiopia, in the Tigray border region of Eritrea, to see the situation on the ground. While a historic rapprochement is taking place between Ethiopia and Eritrea, Jean Asselborn, Minister of Foreign and European Affairs, will visit these two countries this week. In 2018, Eritreans were the largest group of applicants for international protection in Luxembourg. Jean Asselborn, Minister of Foreign Affairs and Minister of Immigration and Asylum, will visit Ethiopia and Eritrea from Monday 11th to Thursday 14th February 2019 at the invitation of the Foreign Ministers of the Republic of Ethiopia, Workneh Gebeyehu, and Eritrea, Osman Saleh Mohammed. As explained by Minister Jean Asselborn earlier this week, Eritrea is the first country of origin of applicants for international protection who flocked to Luxembourg in 2018. Eritrea became the first country of origin with 392 applicants on a total of 2,205 people (17.8%), whereas in 2017 it was Syria (368 applicants). The situation became even more complicated at the end of 2018, since in December, the minister had explained a few days before, "nearly 200 people arrived by train in Luxembourg, while they are" Dublin "cases in Italy. The minister does not hide Luxembourg's difficulties in coping with "secondary migration" . Migrants, mainly of Eritrean origin, who have started their asylum application process in Italy. In Addis Ababa, capital of Ethiopia, the head of Luxembourg's diplomacy will be received by the President of the Republic, Sahle-Work Zewde, before meeting his Ethiopian counterpart, Workneh Gebeyehu. Discussions will also focus on a number of bilateral issues of common interest as well as the migratory situation in the region. 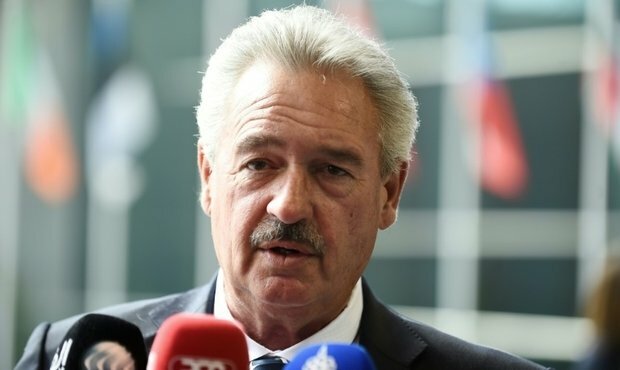 Jean Asselborn will travel to northern Ethiopia, in the border Tigray region of Eritrea, to see the situation on the ground, in the registration and reception centers and in the refugee camps. While the African Union summit, headquartered in Addis Ababa, is being held, Minister Asselborn will take the opportunity of his trip to Ethiopia to meet the President of the African Union Commission, Moussa Faki Mahamat, and to take stock with him on the latest developments in Africa, in the light of the discussions of the Heads of State and Government of African countries.